There are many excellent trading strategies which are adopted by experienced and advanced binary options traders, and for those who are looking to obtain higher returns, the tunnel trading strategy is very popular. Tunnel trading refers to a binary options trade where a trader decides whether an asset’s price will either stay inside a specific price range, or instead whether it will extend beyond the given price range. This type of trade is referred to as a tunnel trade as the specified price range looks like a tunnel. 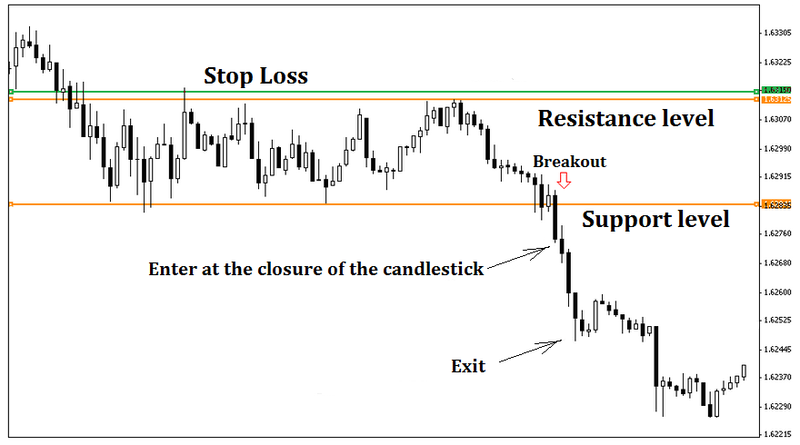 Sometimes, this type of trade is also called Boundary Options or even In/Out options. The highs and lows of the asset’s price are representative of the tunnel’s boundaries, and depending on the trader’s preference and the type of boundary options, the trader must predict either whether the asset’s price will remain within its tunnel before its expiry date, whether its price will break outside of the tunnel before its expiry date, whether the asset price will finish within the tunnel by its expiry time or whether its price will finish outside its tunnel by its expiry. Tunnel trading is most suitable in a market that is currently in a period of consolidation. Usually, at these times, prices trend sideways, and this is especially true if the market is waiting on the release of a major piece of financial or economic news. In this scenario, the financial markets are unsure in which direction asset prices are going to move, and therefore both buying pressure and selling pressure will counteract each other, keeping the market in its equilibrious state. Therefore, prices will continue to move in a sideways motion rather than going down or upward. The tunnel trading strategy requires several separate instruments in order for a trader to identify and determine selling and buying signals. To do this, two exponential moving averages (EMAs) that have a time frequency of 28 and 18, together with two WMAs that have a frequency of 5 and 12 and an RSI indicator that has a time frequency of 21. The tunnel is formed by the two EMAs and this enables the trader to identify the end and the beginning of the existing trend. Once this has been identified, the trader next uses the weighted averages to find the point at which they should execute their trade and also the direction in which the asset is likely to trend. There is a rule to bear in mind here – a trader should only execute a binary option trade at the point where the red lines of the EMAs cross and run as close as possible to each other. A call option should be placed when the 12 and 5 WMAs cross the tunnel that has been formed by the red lines of the EMA at the very moment at which they cross. Put options should be executed at the very point where the WMAs trend in the opposite direction, crossing the EMA channel that is indicated by red lines. The indicator of where to execute the trade is at the moment when the WMA with the frequency of 5 crosses the WMA that has the time frequency of 12 to the bottom from the top. It is also important to pay attention to the RSI that has the frequency of 21, as this indicates whether an option should be bought or sold. Selling is favoured when the RSI is under 50, but if it is 50 or over, buying is the best choice.